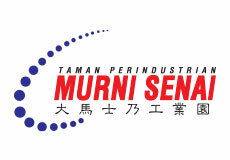 Lembaran Murni Sdn Bhd, a wholly owned subsidiary of Daiman Development Berhad, is the developer for the Taman Perindustrian Murni Senai. The industrial park stretches across 221.9 acres of industrial development which is located a mere 5km from the Senai International Airport. It is also directly accessible from major highways notably the North-south Highway, 2nd Link Expressway, and Senai-Desaru Highway which provide direct links to the Tanjung Pelepas Port and the Johor Port at Pasir Gudang. The project comprises vacant industrial lots, semi-detached industrial factories, warehouses and terrace factories.